Spectacular traditional house. If you have ever thought of an ideal house that will gather everything you need to spend a dream vacation, that is Migjorn House. 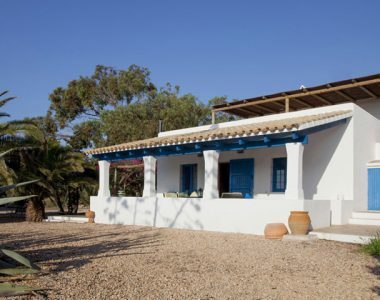 Traditional house that offers us enjoy the calm, tranquility and relax surrounded by nature. Cozy house with lounge on the roof where we can enjoy beautiful sea views and sunsets privately. 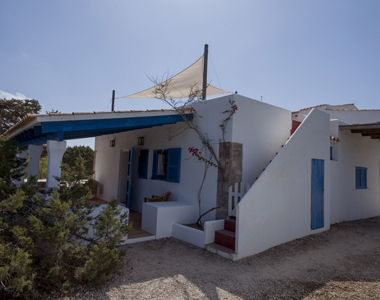 Can Toni Blay, holiday rural houses rentals in Formentera. Carretera de la Mola, Km.10.3. 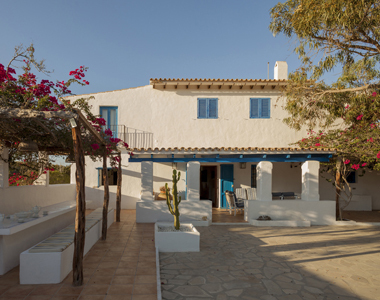 Can Toni Blay, is located in the heart of Formentera, just midway between the two coasts, there where the Romans left their footprint stamped on the island with the Roman Castle “Castellum Roma de Can Blay” .